For the last decade of the nineteenth century and at least the first two decades of the twentieth, Rudyard Kipling (1865-1936) was one of the most popular writers in the English language, in both prose and verse. He was among the last British poets to command a mass audience, appealing to readers of all social classes and ages. Although his few novels, except Kim , were only a mixed success, in the medium of the short story Kipling extended the range of English fiction in both subject matter and technique and perhaps did more than any other author in the English language to blur the division between popular and high art. 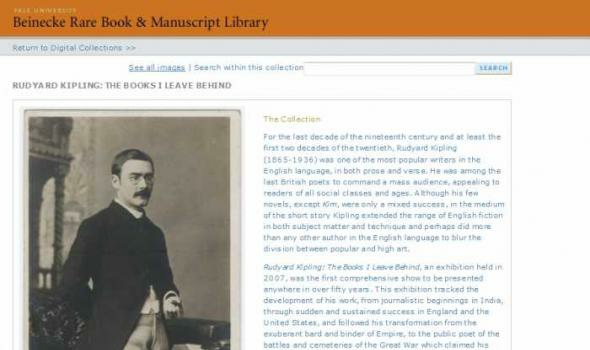 Rudyard Kipling: The Books I Leave Behind , an exhibition held in 2007, was the first comprehensive show to be presented anywhere in over fifty years. 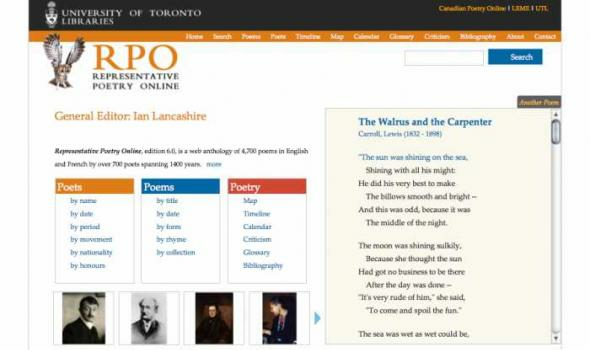 Online Editor's Introduction (Version 3.0) The Online Versions Representative Poetry Online , version 3.0, includes 4,079 English poems by 618 poets from Caedmon, in the Old English period, to the work of living poets today. It is based on Representative Poetry , established by Professor W. J. Alexander of University College, University of Toronto, in 1912 (one of the first books published by the University of Toronto Press), and used in the English Department at the University until the late 1960s. Its electronic founder and editor since 1994 is Ian Lancashire , who is a member of the Department of English, University of Toronto. He edits the poems in affection for and gratitude to their authors, whose works enrich and restore our lives. 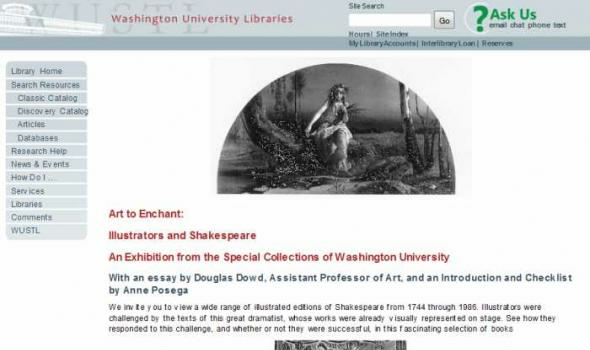 Lexicons of Early Modern English (LEME) is a historical database of monolingual, bilingual, and polyglot dictionaries, lexical encyclopedias, hard-word glossaries, spelling lists, and lexically-valuable treatises surviving in print or manuscript from the Tudor, Stuart, Caroline, Commonwealth, and Restoration periods. Texts of word-entries whose headword (source) or explanation (target) language is English tell us what speakers of English thought about their tongue in the period served by the Short-title and Wing catalogues, from the advent of printing to about 1700. Their lexical insights, which may at times seem misguided to us, shaped the history of our living tongue. Any contemporary's testimony about the meaning of his own words has an undeniable authority. 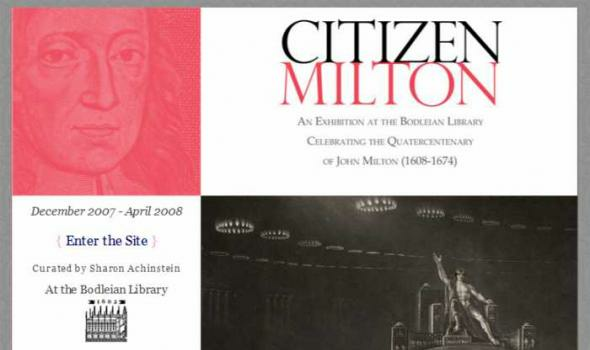 Bodleian Library, Oxford Dec 2007 - Apr 2008 Introduction John Milton was born 400 years ago, and his ideas about citizenship are still relevant to us today. The author of the greatest epic poem in English, Paradise Lost , was also a reforming prose writer, a member of a revolutionary government, and the victim of censorship, whose daring positions we now consider vital to modern governance. Advocate of freedom of the press, transparency in government, public debate, education for liberty, the right to divorce, the disestablishment of the church and the abolition of monarchy, Milton espoused positions radical even by today's standards. 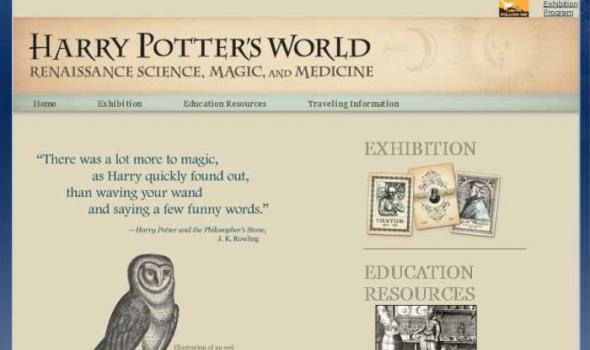 History of Medicine Harry Potter's World: Renaissance Science, Magic, and Medicine I n 1997, British author J. K. Rowling introduced the world to Harry Potter and a literary phenomenon was born. Millions of readers have followed Harry to the Hogwarts School of Witchcraft and Wizardry where he discovers his heritage, encounters new plants and animals, and perfects his magical abilities. Although a fantasy story, the magic in the Harry Potter books is partially based on Renaissance traditions that played an important role in the development of Western science, including alchemy, astrology, and natural philosophy. 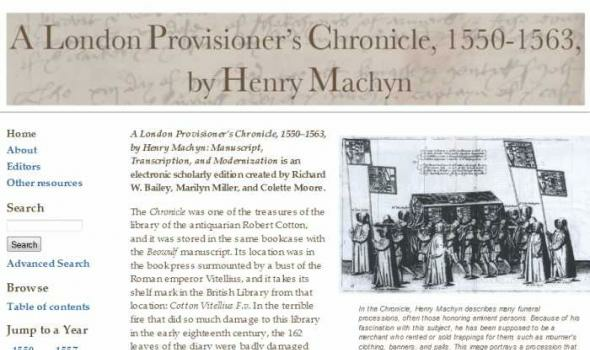 A London Provisioner's Chronicle, 1550–1563, by Henry Machyn: Manuscript, Transcription, and Modernization is an electronic scholarly edition created by Richard W. Bailey, Marilyn Miller, and Colette Moore. The Chronicle was one of the treasures of the library of the antiquarian Robert Cotton, and it was stored in the same bookcase with the Beowulf manuscript. Its location was in the book press surmounted by a bust of the Roman emperor Vitellius, and it takes its shelf mark in the British Library from that location: Cotton Vitellius F.v. In the terrible fire that did so much damage to this library in the early eighteenth century, the 162 leaves of the diary were badly damaged and portions of the outside margins and the top of the text were charred or burned away.